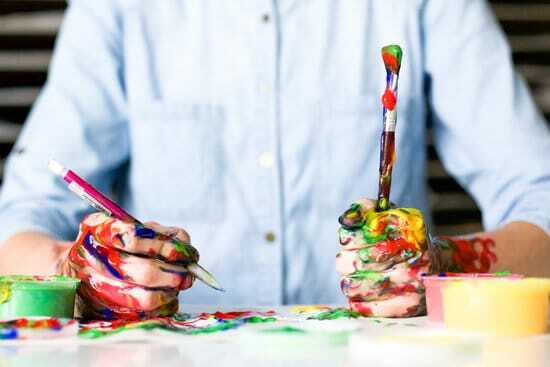 Creative people are often viewed as mysterious, whimsical and ineffable creatures. And yet, the innovation and solutions creativity generates have incredible value. What if I told you that there is a method to the madness? That you, too, can innovate and problem-solve with the best of them? What exactly is the process? While there’s plenty of wiggle room within the basic structure; it boils down to just four basic steps: empathize, brainstorm, prototype, and test. 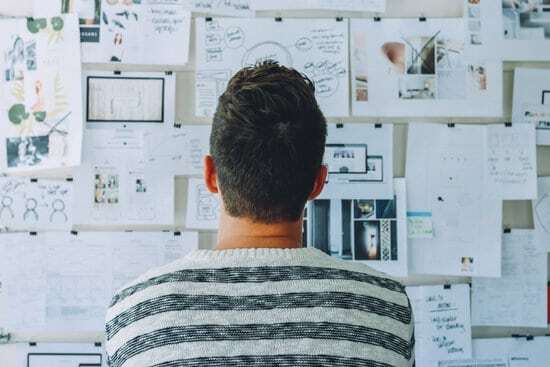 The design thinking process may have originated with designers, but the business world has started to take notice because of the agility, speed, and innovation that it promises. Let’s take a look at three companies that have embraced design thinking to great effect and how you can, too. It all starts with empathy. “Strategic design thinking has one single goal: to understand and solve a problem for its consumer,” says Rakia Reynolds of Skai Blue Media. And in order to understand and solve a problem, one must start by empathizing with the people who are experiencing that problem. Vlisco recognized the necessity to transform from a traditional trade oriented business into a value adding business. The key to this evolution turned out to be the first principle of design thinking- empathy. Empathizing with your consumer allows you to better understand their needs; in turn giving you the tools to meet those needs. Vlisco formed an Innovation Team responsible for finding a solution to their predicament. This team focused on understanding their consumers’ experience as the starting point. By mapping their customers’ experiences Vlisco was able to discover the challenges their consumers faced. Understanding and solving these challenges provided their path forward. As a result of Vlisco’s design thinking process, they developed two new services. 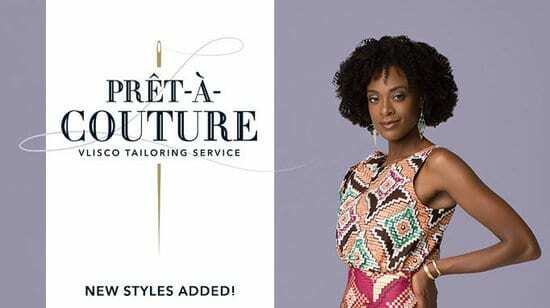 The first new service- Prêt-à-Couture -supports their consumers through the process of having their Vlisco fabrics transformed into wearable garments. The second service is the Style Configurator, an app that allows customers to preview fabric prints in different style silhouettes to help them determine how they would like their finished garment to be designed and constructed. These innovations are a direct result of the design thinking model they followed. Taking the first step of empathizing with their customers gave Vlisco the insight needed to serve their consumers in a new way. So how can you follow in Vlisco’s successful footsteps? Ask questions. Question consumers, question experts, especially question the things that everyone assumes are a given. By asking these questions you can begin to develop a complete picture of the situation. Asking these questions (“why” questions are particularly useful) can often reveal new facets of the problem- or even new problems to solve. At this stage, there are no stupid questions except the ones left unasked. …organizations that “get” design use emotional language (words that concern desires, aspirations, engagement, and experience) to describe products and users. Team members discuss the emotional resonance of a value proposition as much as they discuss utility and product requirements. Once you’ve truly wrapped your head around the logistical and emotional challenges your consumers face, it’s time to use that newfound understanding to brainstorm possible solutions. Innova began as an initiative for the Ericsson product development teams in San Jose but spread to the whole company. It was one unit introducing design thinking in their organizational structure and it became an innovation practice. A practice that they now share with the whole company. So how does it work? Employees submit their ideas via the Innova platform where they are discussed. Promising ideas that generate excitement are selected to move forward with a prototype. Ericsson’s Innova has embraced design thinking and empowered their employees in a big way. 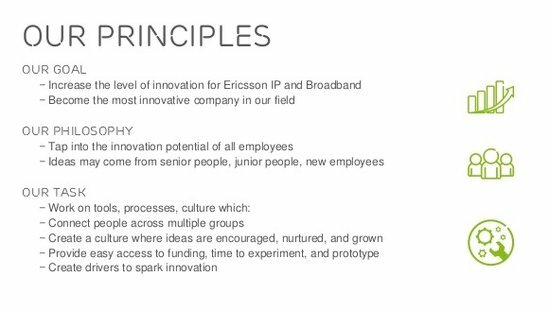 Innova aims at setting free an entrepreneurial spirit amongst Ericsson’s Employees. At Ericsson, design thinking unleashed the untapped potential their employees had always possessed. Your company may not have its very own design thinking software, but you can still follow Ericcson’s brainstorming lead. 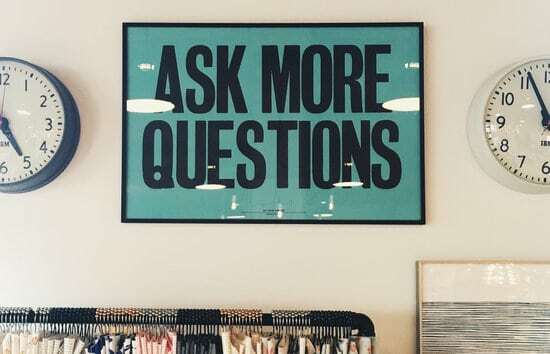 With your question framed, you can begin to start collecting ideas. To truly get the most out of your brainstorming sessions, encourage all answers, all ideas. This is not the time to edit. Creating a safe environment for all solutions- no matter how crazy they might sound- is vitally important. True innovation needs a safe environment to flourish. Only after you’ve exhausted your well of ideas should you begin to sort and edit. The final step of your brainstorming session is to choose the most promising ideas to carry forward and prototype. 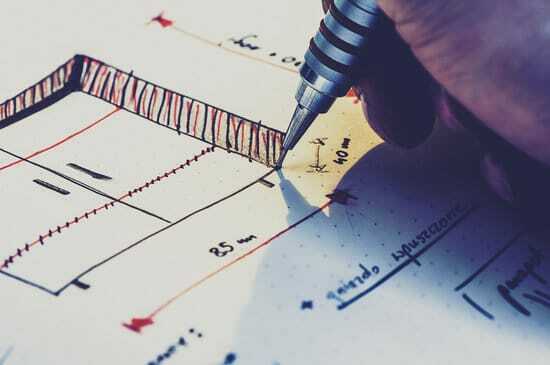 Whether it’s a napkin sketch, a prototype carved from foam rubber, or a digital mock-up, the quick-and-rough models that designers constantly create are a critical component of innovation — because when you give form to an idea, you begin to make it real. our blessing in allowing us to produce moments of exquisite theater, and our curse in terms of not giving us the flexibility to adapt quickly. 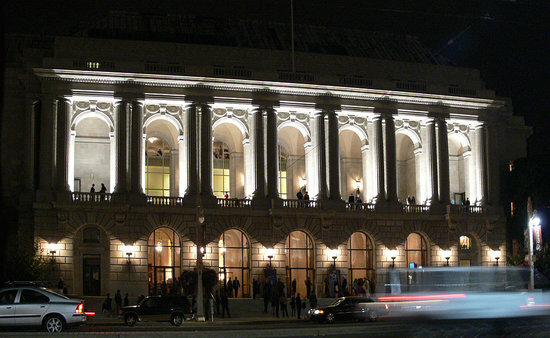 The SFO is a non-profit organization that survives mostly on donations, endowments, and grants; with ticket sales making up only a small part of their revenue. One way of growing ticket sales is to pursue the prized white whale of opera attendees- younger audience members. Two students of Stanford’s d.leadership: Design Leadership in Context class, David Zena Barakhat and Madhav Thattai decided to take on that challenge with the SFO. Over the course of their time together Barakhat and Thattai encouraged the members of the SFO team to embrace rough prototypes – a concept that was particularly challenging in the SFO culture. This process led the team to plan a number of informal events that were popular with their younger potential audience. 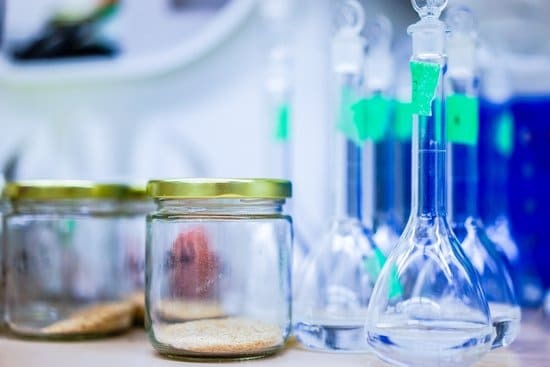 The experiment’s success encouraged “a new commitment to innovative thinking and creative brainstorming” at the SFO according to Shilvock. Building on their success, SFO formed new innovation teams called iGroups to continue their momentum after their project with Thattai and Barakhat was complete. Design thinking is liberating for a company tightly constrained by contracts and expectations!” He also noted that it “opened the door for us to be a more creative, questioning, and iterative organization, a little more willing to try and fail. What can you learn from SFO’s experiences? First off, create prototypes of your ideas. You’ll be amazed by how much you will learn during this modeling process. Second, avoid sinking tons of time, money and effort into your prototypes. Investing little time and effort provides flexibility; and, by keeping the stakes low a prototype can succeed or fail and either result is okay. This means that you’re free to test more prototypes- leading to greater learning and more potential solutions. Once you have your prototype(s) it’s time to test. The form that your tests take will depend on your field and your goals. The SFO held several prototype events and gathered feedback from their attendees. Ericsson tests the ideas pitched on Innova offline and then reports the results back on Innova. Vlisco tested their Prêt-à-Couture services with consumers within one of their retail locations. Designing is an iterative process. Don’t expect to hit the nail on the head on your first try. This is a very important concept: failure is okay. If your prototype does not test well, you may circle back to re-evaluate, modify and re-test; or you may pursue a new prototype for a different idea entirely. Either path is okay. John Kolko explains. In a way, the design-thinking process is circular. The testing phase allows us to gather additional insights that perhaps didn’t surface during the initial discovery phase. If your tests are successful- great! Now you’re ready to use the information you’ve gathered to refine and launch your new product or initiative. Empathize. Brainstorm. Prototype. Test. That’s all it take to join the design thinking movement. These fours steps can make your business more agile, more innovative and more successful. Go ahead, try it. Your business will thank you. Are you excited by the agility and innovation design thinking can bring to your business? 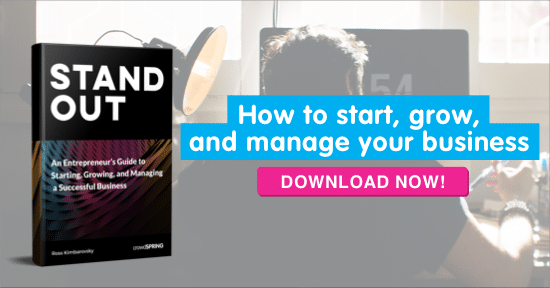 We have even more great tips for starting, growing, and managing your business in our latest ebook titled STAND OUT. Download it here.